As the summer heats up, we've got you covered with a fresh list of bestsellers that are sure to pair well with a cold drink. We're thrilled to see the new arrivals from BK authors, including Laura van Dernoot Lipsky and Peter Block, make the list this month. Whether you choose a BK classic or pick up one of our new releases, our July list is sure to give you that extra boost to stay motivated in the summer sun! The suite of Arbinger titles top our July list, creating even more buzz around the highly-anticipated release of the third edition of Leadership and Self-Deception this fall. Amazon reviewers describe this book as "powerful," "life-changing," and an "amazing journey of reflection, introspection, and self-discovery." Focused in on conflict-resolution, The Anatomy of Peace explores how we often misunderstand the causes of our conflicts and shows the paths to achieving true reconciliation. 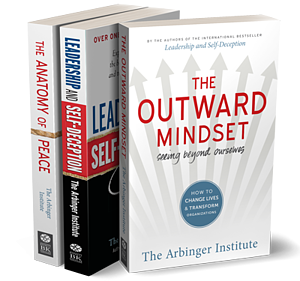 The Outward Mindset shows how learning to see beyond ourselves can improve performance, spark collaboration, and accelerate innovation. This trio of books is a provocative, honest and practical exploration into how to truly create a world that works for all. 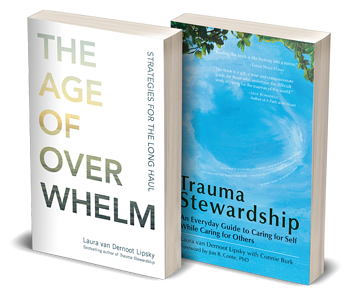 Laura van Dernoot Lipsky returns on our July list with both of her seminal works, Trauma Stewardship, a longtime bestseller for Berrett-Koehler, and the powerful new release The Age of Overwhelm. Written with compassion for people short on time, resources, and capacity, The Age of Overwhelm offers a “less is more” framework to help ease the burden of overwhelm, restore our perspective, and give us the strength to navigate what is yet to come. Illuminated by scientific findings and spiritual insights and lightened with New Yorker cartoons, this book provides practical applications enabling us to do less of what erodes us and more of what sustains us so that we can continue to show up and do some good. Taking one of the top 3 spots for the second month in a row, On the Brink of Everything creates new pathways for aging with grace. Publishers Weekly describes the book as "Warm, generous, and funny," and says it "invites readers to the deep end of life where authentic soul work and human transformation become pressing concerns." 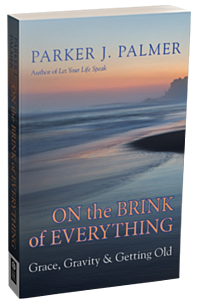 Parker's message resonates with many of his fans and audiences around the country. This book has already hit many national bestseller lists, including Publishers Weekly Hardcover Nonfiction and the American Bookseller's Association Hardcover Nonfiction lists. 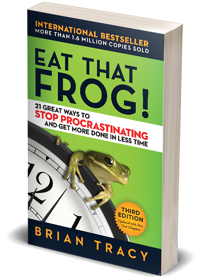 With a vast wealth of expertise spanning time management, self-development, personal wealth, business, and leadership, internationally bestselling author Brian Tracy once again graces our list this month with his classic book Eat That Frog!, which has sold over 2 million copies worldwide and translated into 46 languages. In Eat That Frog! Tracy cuts to the core of what is vital for effective time management: decision, discipline, and determination. The latest edition is accompanied by an interactive card deck and workbook, making getting your life organized fun and engaging! 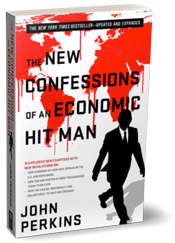 Over a decade ago, John Perkins' explosive and groundbreaking book, Confessions of an Economic Hit Man made its debut onto the New York Times bestseller list. Since then, Perkins has identified how the social consequences of the economic hit man have only gotten worse. Considering the divisive times that we are living in now, it's no wonder this new edition has made it onto our BK bestseller list since its original release in 2016. New Confessions of an Economic Hit Man illuminates how the economic hit man system has become the dominant system of business, government, and society today. Perkins, ever the activist, offers specific ideas and strategies for how each of us can transform what he calls a failing Death Economy into a Life Economy that provides sustainable abundance for all. 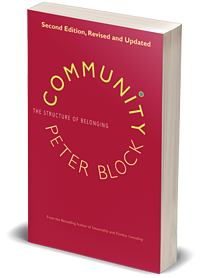 Making its debut on the BK July bestseller is the new edition of Peter Block's classic book Community. Arriving at a critical moment, this new edition provides an alternative to the increasing economic, relational, and ideological divides in our culture. To achieve a deeper sense of connection and belonging, we need to change the narrative from one of deficiencies and entitlement to one of possibility and generosity. This is how community is created, and Block shows how it’s done with examples from neighborhoods, towns, and cities around the United States. To bring transformation into everyday life, Community outlines six conversations that create shared accountability and shows how to design systems that foster this sense of belonging. Known as the "Father of Organizational Development," author Edgar Schein defines Humble Inquiry as “the fine art of drawing someone out, of asking questions to which you do not know the answer, of building a relationship based on curiosity and interest in the other person.” His 2013 book Humble Inquiry—a deep dive into a new and better way for leaders to relate to followers he introduced in his widely regarded book Helping—has reached international bestseller status, selling nearly 120,000 copies worldwide and has been translated into thirteen languages, and makes a consecutive appearance on our July bestseller list. 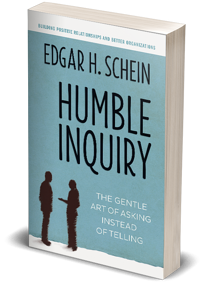 Schein contrasts Humble Inquiry with other kinds of inquiry, shows the benefits Humble Inquiry provides in many different settings and offers advice on overcoming the cultural, organizational, and psychological barriers that keep us from practicing it. Stay tuned for Schein's next book Humble Leadership, available this fall! It is almost too easy to become preoccupied with and discouraged by the things we don't know, rather than be excited by the opportunity to learn. To counter these negative tendencies, Marilee Adams flips the script in Change Your Questions, Change Your Life to reframe the negatives into positives. We tend to ask ourselves questions like “what could go wrong today?” Instead, we can ask questions that open us to learning, connection and success. Or we can ask questions that impede progress and keep us from getting the results we want. For instance, the question "What great things could happen today?" creates very different expectations, moods, and energy than the question "What could go wrong today?" Combing our minds for positivity instead of limitations shines new light on our possibilities and career paths. 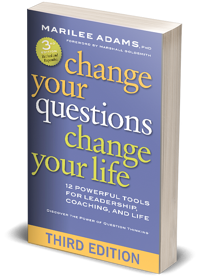 Using a fun narrative, Adams shows how to quickly recognize any undermining questions that pop into your mind—or out of your mouth—and reframe them to achieve amazingly positive and practical results. 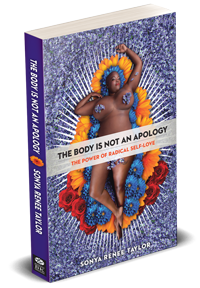 The Body Is Not an Apology returns to our July bestseller list and continues to revolutionize the ways we think about body positivity and radical self-love. Instead, Sonya Renee Taylor calls for a movement of radical self-love to create a more just, equitable and compassionate world. These endorsements are more than superficial. They speak to the work Taylor and her team are truly trying to do, work that extends far beyond what the now trendy phrase “body positivity” suggests. 10. Who Do We Choose to Be? 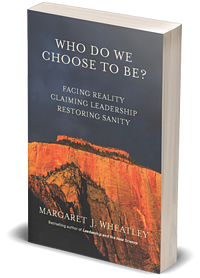 Over the past couple of decades, Margaret Wheatley has sought to restore leadership as a noble profession, offering a path for leaders to engage well and sanely with the destructive dynamics of this time. Deepening the insights in her classic Leadership and the New Science, Wheatley uses two lenses to understand where we are and how we got here: the new science of living systems and the pattern of collapse in complex civilizations. Each of them is powerful on its own; together they offer tremendous explanatory power.